Semester(s) Offered: Offered in alternate, even-numbered spring semesters. Graduate course focusing on the genetics, ecology and evolution of fungi. 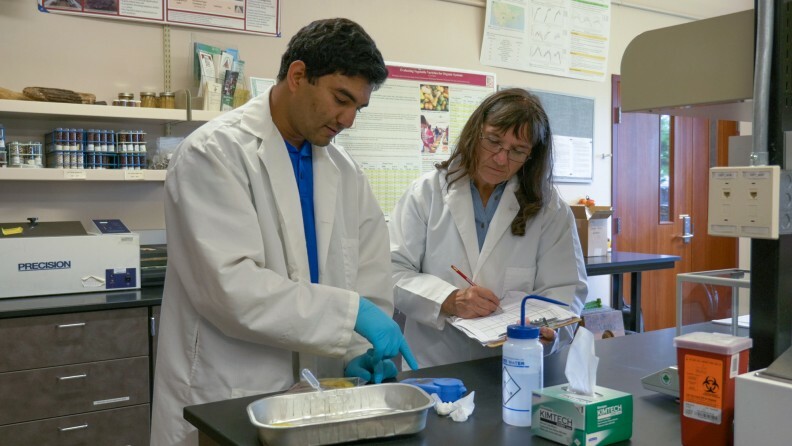 The objective of this course is to familiarize students with the diversity of fruit, vegetable, grain, forestry, and ornamental crops grown in Washington State, the nature and diagnosis of diseases affecting these crops, and diverse aspects of field plant pathology and extension. Students will observe a wide variety of cropping systems and agro-ecosystems, and will interact directly with faculty, extension personnel, growers, consultants, regulatory agents, and other stakeholders involved in plant disease research, extension, consulting, production, and regulation. The course entails two separate weeks of travel across Washington State by bus—the middle week of June and the middle week of July (exact dates are finalized each time the course is taught based on the guest speakers and sites visited). All students taking the course travel together in a bus with the course instructor.